Make one-of-a-kind jewelry at Nickates. Nickates carries a wide selection of jewelry findings, bails, ear ring wire, sterling silver parts,wire wrapping, collage art, and fused glass jewelry supplies. Get started with our Beginner Kits and instructional Books & DVDs. Nickates Makes It Easy: Choose from a wide selection of Jewelry Findings, including Aanraku's glue on bails that adhere directly to the back of your glass cabochons. 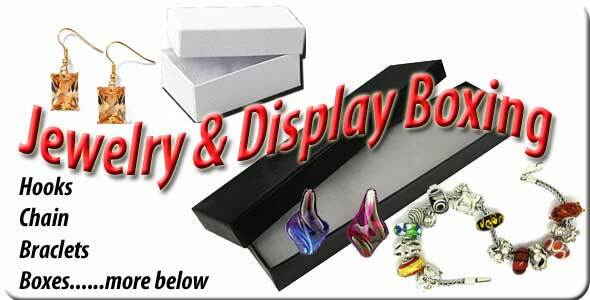 Gift Boxing / Bags / Packaging"
Necklaces Bracelets and Chain Supplies"
Sterling Silver and Gold Jewelry Findings"